CHICAGO, IL--(Marketwired - Mar 18, 2014) - IMG Technologies, the nation's largest riser management company, today announced the hiring of Aries Fong, a new executive in the company's Western Region. Fong joins IMG as Director for IMG's Western Region, based in IMG's regional office in downtown San Francisco's Embarcadero Center, where she will be focused on market development. Fong will support IMG's national portfolio of more than 250 commercial buildings, working closely with the region's building owners, property managers and tenants to ensure that the building is able to accommodate the rapidly growing and evolving connectivity and technology needs of its tenants. She most recently served as Global Account Manager with Cogent Communications, one of the world's largest internet service providers. 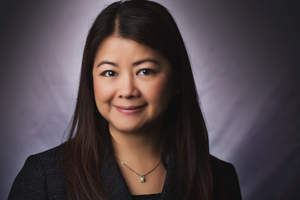 In her career at Cogent, Fong was responsible for supporting the connectivity needs of Cogent's global enterprise clients with a range of ethernet, internet and co-location services. "As businesses of all sizes embrace cloud computing, data analytics, videoconferencing and other bandwidth-intensive applications, many buildings are struggling to keep up with the connectivity demands of their tenants," said Mike Curtin, president of IMG Technologies. "Aries will perform a vital consulting role for commercial building owners and property managers, working with the local telecom carriers and tenants to ensure that each building in IMG's care stays a step or two ahead of the latest connectivity and technology trends." Fong will also work directly with IMG's teams of on-site technicians in the Bay Area, ensuring that new circuits are connected seamlessly, tenant trouble tickets are answered promptly and professionally, and customer service levels meet or exceed the high standards of the Class-A commercial properties IMG supports. "Many of our customer's buildings are signature properties that deliver a premier experience for tenants from the moment they enter the building," Curtin explained. "As the building's riser management and enhanced technology services partner, it's essential that we deliver that same Class-A customer experience in all of our interactions with property managers and tenants as well. I'm counting on Aries to help us continue to deliver a customer experience that is second to none, no matter what market you are in." IMG Technologies is the largest and most experienced riser management and related technology services company in the United States, with more than 20 years of experience supporting the IT, voice, and data needs for more than 100 million square feet of commercial real estate in the Chicagoland and Bay Area markets. IMG is focused on keeping building owners, managers, and tenants one step ahead of the latest technology and connectivity trends, increasing the satisfaction of the building's tenants, the productivity of the property managers, and the value of the buildings themselves. For more information, visit http://imgtechnologies.com.